Reserve at Pebble Creek offers the convenient living experience you’ve been searching for. 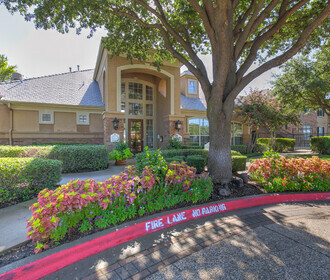 This tranquil community offers a relaxing lifestyle in an idyllic West Plano, TX neighborhood. Known for its wide-open spaces and small-town vibe from its days as farmland, this charming area provides an eclectic mix of shops, restaurants and cultural attractions. When you return after a busy day, you can enjoy all the comforts of home both inside your apartment and while taking advantage of the amenities around the peaceful community. 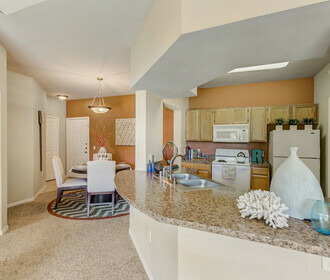 Whether you rent a one, two or three bedroom model, expect the best at Reserve at Pebble Creek. The rich tones of the oak cabinetry and hardwood-style flooring add warmth to the interior surroundings while nine-foot ceilings and accent walls in designer hues create a grander sense of dimension and contemporary style. 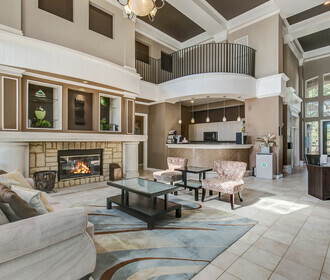 Select homes may also include fireplaces or garden tubs to maximize your effortless relaxation. Beyond your door, Reserve at Pebble Creek delights residents with access to a fully equipped fitness center, an elegant clubhouse with towering ceilings and columns beside the fireplace and a pool area that will have you wishing for summer all year long. Learn more when you contact the community today.